The electric tractors are comfortable and practical to drive and with a maximum towing capacity up to 4.500 kg they make the industrial operations easier. Why choose the Alke'electric burden carrier? 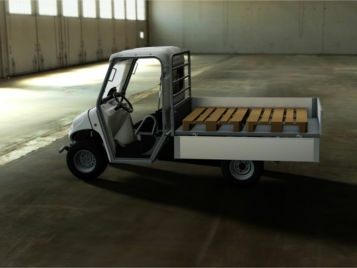 The electric burden carriers are electric vehicles completely Made in Italy suitable for every type of industrial plant. These industrial burden carriers are provided with a cargo bed that permits to place equipments or other materials on it and to unload them in a quick and simple way, making displacement operations easier. 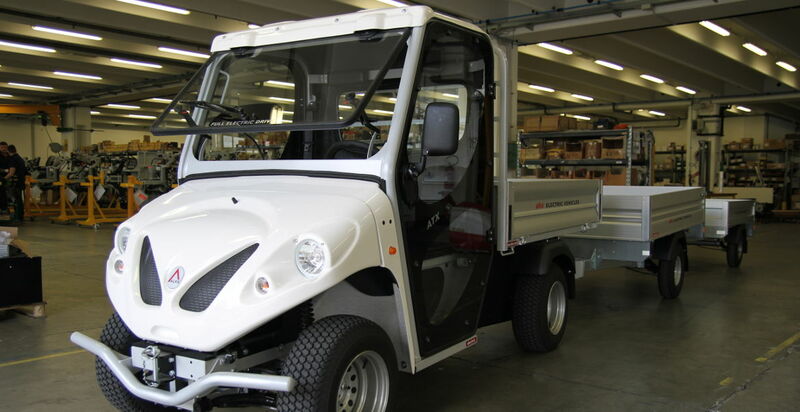 They are great industrial electric trucks with high performances that allow to tow up to 4.500 kg. They are excellent for production and logistics activities, especially picking. They are also N1 approved for road circulation, if there is a need to move between production units or storage units located in different areas. 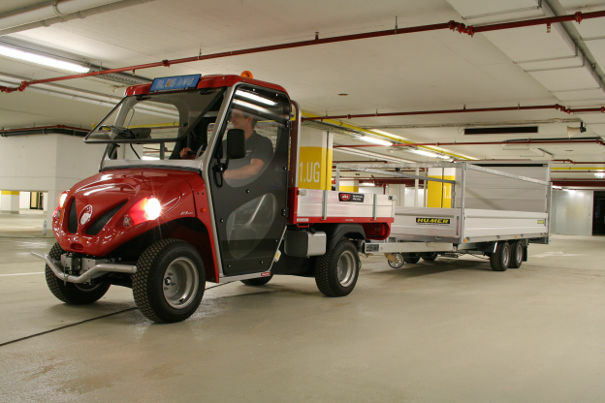 As all Alkè electric vehicles, the electric load carrier assures silence, lightness and handiness and its small size allows to used it in limited space like industrial warehouses. In fact, thanks to its features, this vehicle is suitable for warehouse and logistics management to improve the phases of the industrial activities. Plus, it requires low maintenance and battery costs. With 35% of maximum negotiable slope, you may also tread the uphill parts of the working establishments like the garage ramps. The electric vehicle is not only comfortable, it's also easy to drive. 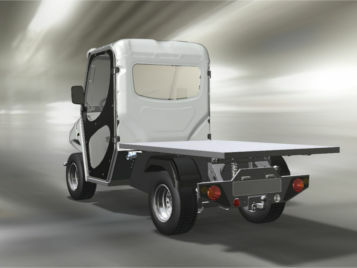 Electric vehicle with flat cargo bed for industrial transports. Electric towing tractor for the logistics management of the warehouses and for picking. Electric load carrier with cargo bed for pallets and working equipments. To the electric burden carrier can be added some accessories, for example to the cabin or to the load area, depending on the different needs of the operator. There is the option of having a cargo bed with aluminium drop sides, useful when you need to download directly all the goods on it; this modality is particularly suitable for the construction sector. An alternative to the cargo bed with drop sides is represented by the possibility of having steel mesh sides. Another option is to install a flat cargo bed, the most useful for the transport of boxes, bags, pallets and all those packaging that can be more easily downloaded in absence of drop sides. 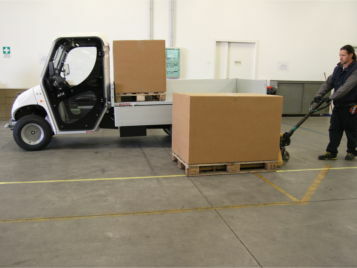 Depending on the types of goods that you need to carry you may require different types of configurations like: closed body tarp, to cover the most delicate goods, such as work equipment, and the van box with sliding doors, element that may be more comfortable for certain types of operations. Write a brief message for prices and information on the Alke' electric burden carrier.